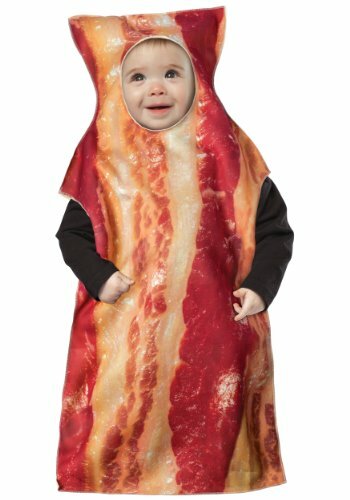 Are you hungry for some hilarious, silly, yet incredibly delectable costumes? 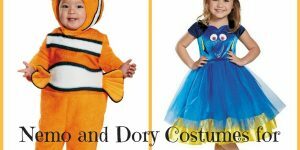 Everyone loves food, that’s why this line up of cute costumes for kids is based on their favorite snacks, foods, beverages and all sorts of delicacies. To help you show the world just how sweet your baby is, we’ve compiled 15 of the yummiest munchies in wearable form for baby’s next party. 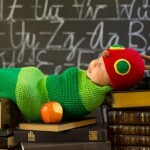 Parents, you’re going to love these new and creative food costumes for infants and toddlers. What better way to introduce your baby to healthy greens than with Rubie’s Pea in the Pod Baby Bunting Costume? In addition to being super cute, the pea costume swaddles your baby toddler and covers their pretty little heads with a tiny hood. 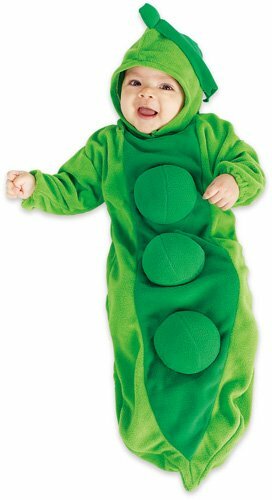 Costume is made from 100% polyester fleece fabric with big stuffed peas attached to the front with Velcro. And in case of diaper emergencies, there’s a horizontal Velcro opening at the back for easy access. When it comes to candy, the tootsie roll might just be the king of all candies. 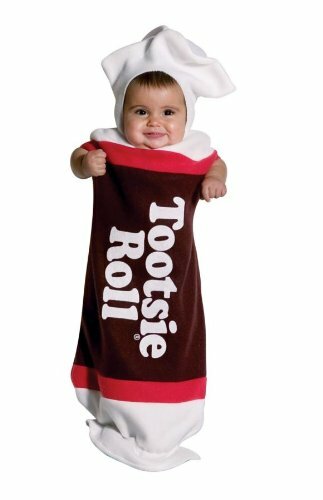 Make your baby both popular and irresistible with the Rasta Imposta Tootsie Roll Bunting Costume. This yummy wearable features a one-piece costume with tootsie roll branding and sleeveless openings for the arms. 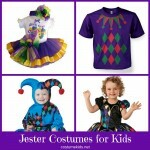 In addition to being made with 100% soft and warm polyester, the costume is an officially licensed product. If there’s one versatile and globally adored pastry, it’s got to be good old bread. Turn your little bundle of joy into the world’s most famous breakfast with the Wonder Bread Bunting Infant Costume. Costume includes a polyester fleece with the American classic wonder bread branding. 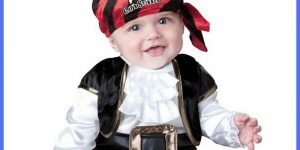 This yummy bread costume is perfect for babies aged 3 months to 1 year. Nothing gets your growing kids more excited than S’mores. 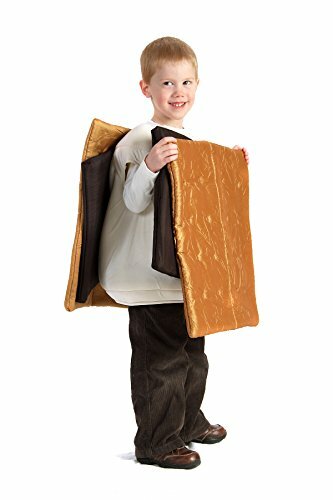 Let them express their love for the snack with their very own S’Mores Kids Costume. 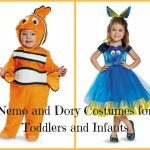 This costume includes a one-piece top sleeveless padded marshmallow with graham crackers and soft foam chocolate. Likewise, the crackers are covered in soft fabric with impressive premium stitched detailing. So, how do you make sure that your little girl is the bell of the ball in all summer events? 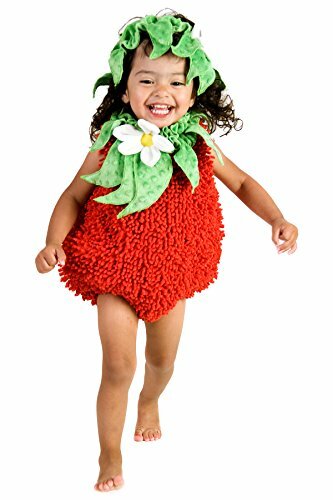 Simple, with the Princess Paradise Baby Girls’ Suzie Strawberry Deluxe Costume. This unique costume features a sleeveless chenille red bubble body with an attached, green plant collar and a headpiece to match. Bring your child’s imagination to life and let the plant princess shine. 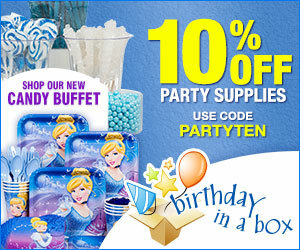 Uh-Oh, looks like someone’s got a sweet tooth. Nothing beats a glazed doughnut covered in sprinkles and ready to dunk. 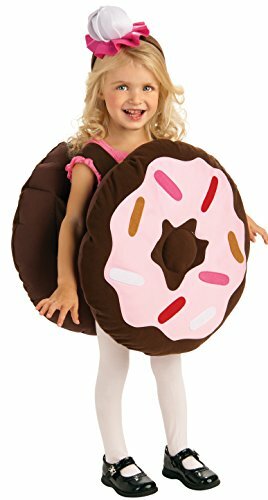 The Rubie’s Dunk Your Doughnut Costume features an incredibly detailed doughnut inspired jumper with printed frosting and sprinkles. There’s also a pink headband to complete this picture of cuteness. Introducing America’s most favorite snack on-the-go, the hot dog is literally a tradition, an ingrained rite of passage. 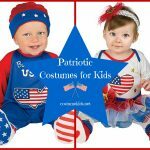 Suit your little one up in the Hot Dog Toddler Costume and watch them turn into an American classic. 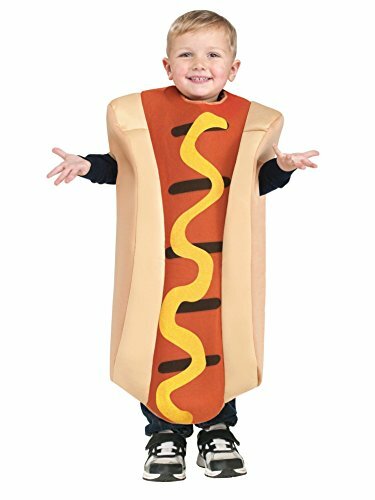 Costume features a one piece pullover hot dog tunic with printed buns on the side, a roasted sausage in the middle and a well-done mustard topping. Cookies anyone? The Rubie’s Sweeties Creamy Cookie Costume might just be the sweetest getup on this list. 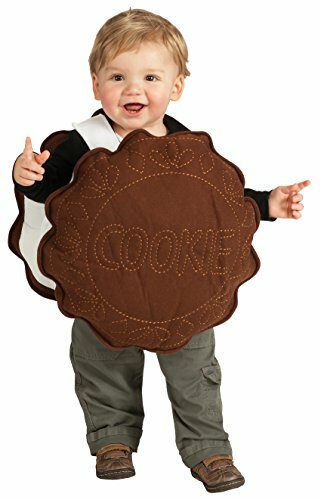 This cookie shaped costume jumper turns your baby into the cutest, sandwiched cream center on the block. The costume also incorporates some cooking detailing on both sides. If we’re being honest, no breakfast is complete without good old, sizzling bacon in the mix. The Rasta Imposta Bacon Bunting includes some of the most vivid and realistic bacon detailing and printing you’ve ever seen. 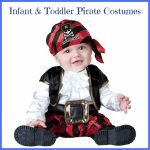 The costume features a one piece overall that goes over the head with sleeveless arm openings so your child can flip himself over when done. It’s time to get the Mexican spirit on with good old, traditional South American delicacies. 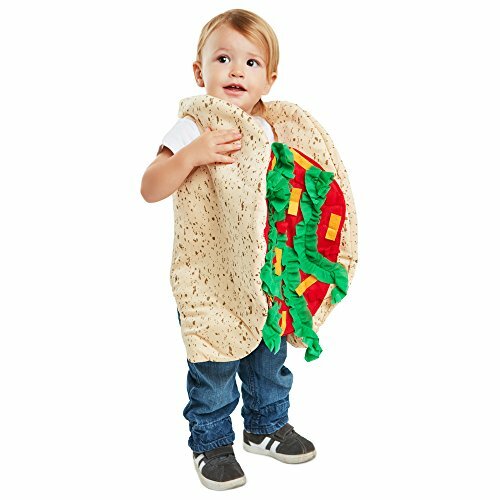 Whether you’re celebrating Halloween, Taco Tuesday, or even a birthday, nothing competes with the Baby Taco Costume. This Mexican food costume features a foam body piece that resembles the flour exterior of a taco with some fittings stuffed in the middle that can be detached to resemble real toppings. I promised you healthy and wholesome, and that’s exactly what you’ll get. 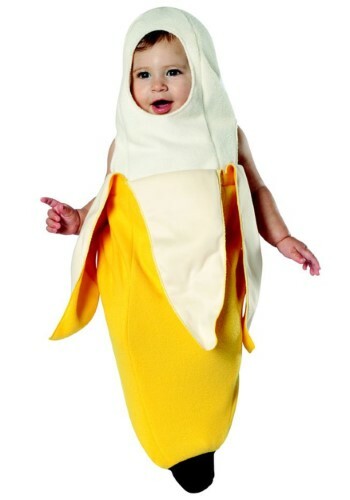 How about turning your baby into a half peeled, potassium-packed tropical fruit? That’s right; I’m talking about the Rasta Imposta Peeled Banana Bunting that boasts of 100 percent polyester construction. Costume features a one piece with peeled banana peels and a nice banana head at the top. Here’s another darling from Rubie’s. The Rubie’s Going To The Movies Popcorn Costume features a popcorn-shaped jumper with a popcorn-shaped hood to complete. The jumpsuit boasts of bold and bright red and yellow printed popcorn concession design. 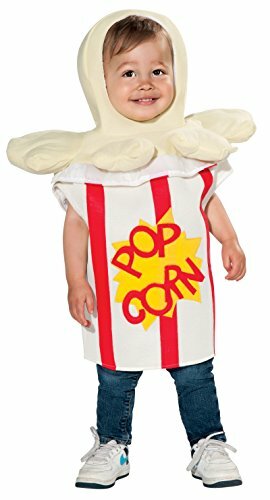 Turn your little one into a bucket of popcorn with this creative getup today. Introducing what is hands down the sweetest costume on this entire list, the Smarties Baby Costume is literally a sweet. 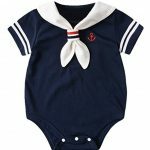 This one piece polyester bunting outfit boasts of a candy roll design with the smarties logo printed on the front and back and classic wrapper effect for the head and feet. What’s more, the costume is printed with a colorful and vibrant design to set the right party mood. This particular costume takes the term junior mints to a whole new level. 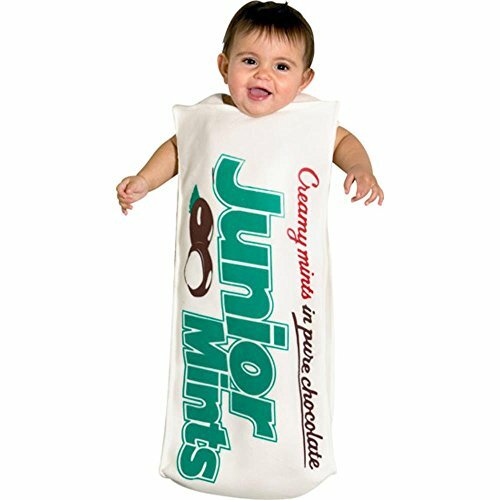 The Junior Mints Baby Costume features a fabric mounted over foam construction and is an officially licensed product of TR Junior Mints. Costume is in a white and green bunting style with the chocolate covered, creamy milk center branding that we’ve all come to love. Bet you didn’t see this coming, did you? Today, we’re winding up on a hot and spicy note with what is literally the hottest costume on the block. 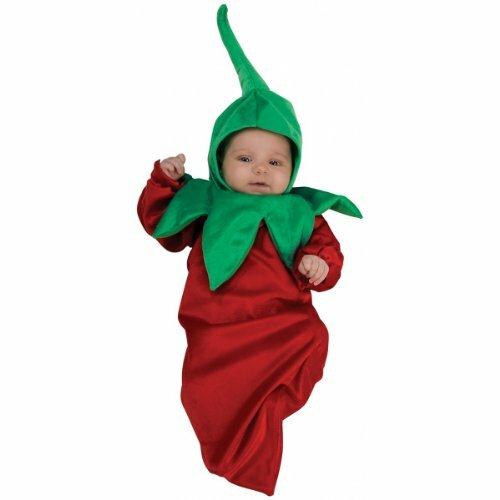 The Baby Chili Pepper Costume boats of a warm and comfortable polyester fabric construction and features a red infant chili pepper bunting with a fabric fastener at the back and a chili stem headpiece to complete the picture.